NETELLER offers two different ways to pay or withdraw your NETELLER funds directly from your NETELLER account using a NETELLER Net+ MasterCard. You can use the platic Net+ PrePaid MasterCard or the virtual Net+ MasterCard. On this page you will find all information about both cards, their limits, their benefits and also their availability. Please make sure to apply to our free NETELLER Bonus Program to get a free MasterCard with the highest withdrawal limits. There are no ongoing costs like monthly/yearly fees or inactivity fees with the Net+ Prepaid MasterCard. The card can be ordered for a one-time shipping and handling fee of 10.00€ in your NETELLER account after logging in. For ATM withdrawals there is a 1.75% fee. Paying in shops (POS – point of sale) is free as long as the currencies match. When using a Net+ PrePaid MasterCard in a different currency than your NETELLER account or when performing a transaction in a different currency than your Net+ Card you are charged with a 3.99% FX currency exchange fee. To avoid FX fees, choose the currency of the country that you want to use the card primarily. All fees are charged directly from your NETELLER account. The Net+ Prepaid MasterCard is available in eight currencies: GBP, USD, EUR, CAD, SEK, DKK, AUD and JPY. 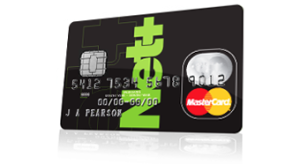 For more information on the NETELLER Net+ PrePaid MasterCard fees, please check NETELLERs website. Members of eWallet-Optimizer enjoy the highest ATM limits of 3,300 USD/day including the highest transfer limits (check 2nd table below). For more information on limits for regular account holders, please check the following tables. 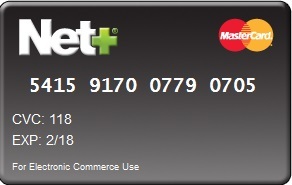 To order your NETELLER Net+ PrePaid MasterCard, please log into your account and select “Net+ cards” -> “Get a plastic card“. The virtual Prepaid MasterCard is a non-phsyical prepaid MasterCard. Therefore, you do not need to receive a physical card. 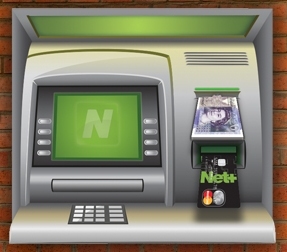 Instead, you can create virtual card details from within your NETELLER account and use them to shop online. The first Virtual Prepaid MasterCard created within your account is FREE. You can then add up to 5 more net+ virtual PrePaid MasterCards and even set limits how much you are allowed to spend (optional). After the first free virtual card, each next card created costs 2.50 EUR. When using different currencies, there is a FX fee of 3.99% of the amount spent. You can spend up to 6,300 EUR per 24h with the Net+ Virtual PrePaid MasterCard. Please check the following tables for more information about the limits. To order your NETELLER Net+ Virtual PrePaid MasterCard, please log into your account and select “Net+ cards” -> “Get a virtual card“. The Net+ Virtual Prepaid MasterCard can only be used to shop online. ATM cash withdrawals are not possible. When shopping online, a higher security level is achieved through the individual setting of spending limits and protection against unauthorized use. It also has higher spending limits than the physical card. The Net+ Physical PrePaid MasterCard is necessary to get cash from ATMs and is s safe way to pay in online shops also. When dealing with unknown shops, a Net+ Virtual PrePaid MasterCard can be used for extra caution. Please contact us if you have further questions about the NET+ MasterCard.